We can’t wait to unveil our soon-to-be released 2019 product line! 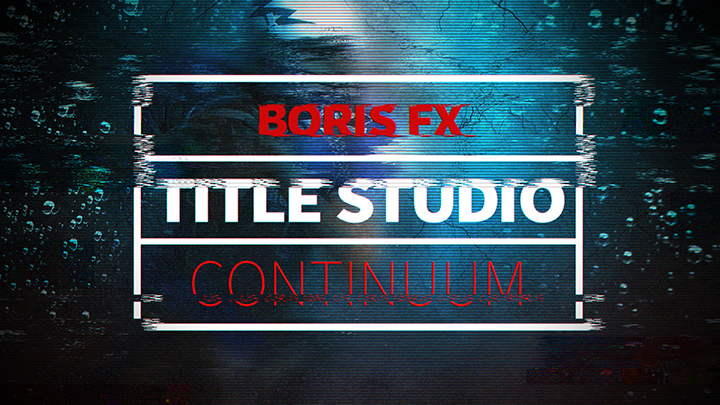 Swing by our IBC booth (7.A65) in Amsterdam to see what’s new from Boris FX. Starting this fall, you can expect yearly release updates (woo!) across our famed flagships - Sapphire, Continuum, and Mocha. It’s part of our commitment to you, our valued community, to deliver the most powerful and creatively freeing tools you need to keep your clients coming back. Plus, we’re also preparing to release the Boris FX App Manager, a simple one-touch licensing and support utility for managing all your Boris applications and licenses via a single, unified user interface (yes!). Now let’s dive in. Whether you’re a traditional VFX artist or you’ve made the leap to 360 post and VFX, Mocha Pro 2019 delivers the world’s most versatile planar tracking toolset on the market. And you’ll now have access to both. We’ve combined the features of Mocha Pro and the Lumiere award-winning Mocha VR into one all-encompassing plug-in. High-five! Guess who’s back? Back again! Everyone’s favorite particle generator (previously particleIllusion) from Alan Lorence and the former Wondertouch team is completely revamped and is now a major addition to Continuum 2019. 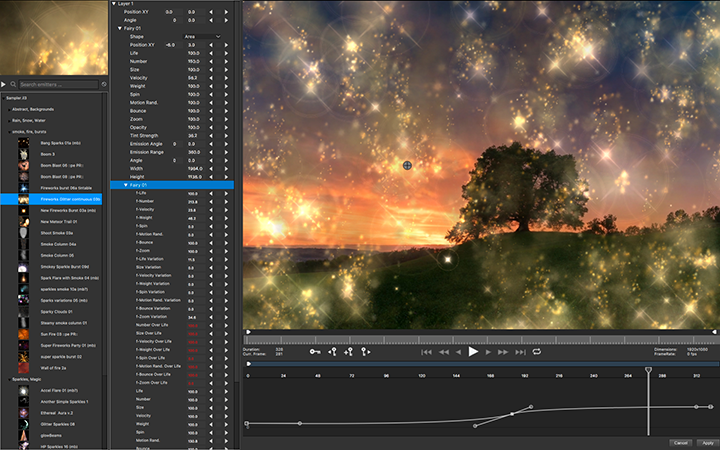 Create brilliant motion graphics elements like sparks, smoke, and fireworks with ease. Known as the most complete plug-in collection in the industry, Continuum 2019 gives editors even more firepower. Easily create amazing mograph elements and title treatments with powerful, time-saving tools. 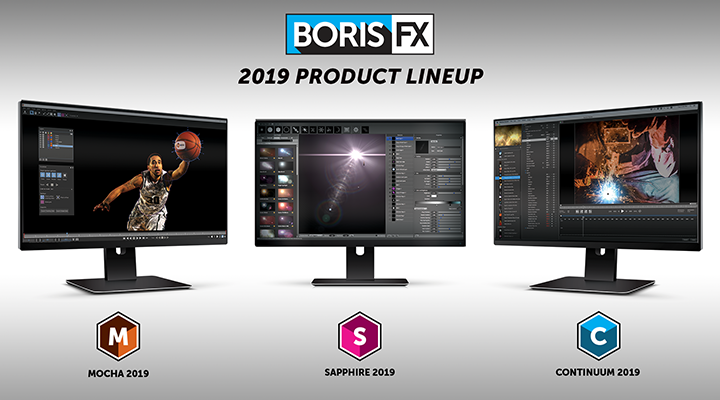 “Sapphire 2019 is a great new addition to my toolset. The new Lens Flare tool allows me to produce some truly stunning photo-realistic flares in my work.” - Damien LeVeck, Owner/Editor, Skubalon Inc.
J.J. Abrams, eat your heart out. 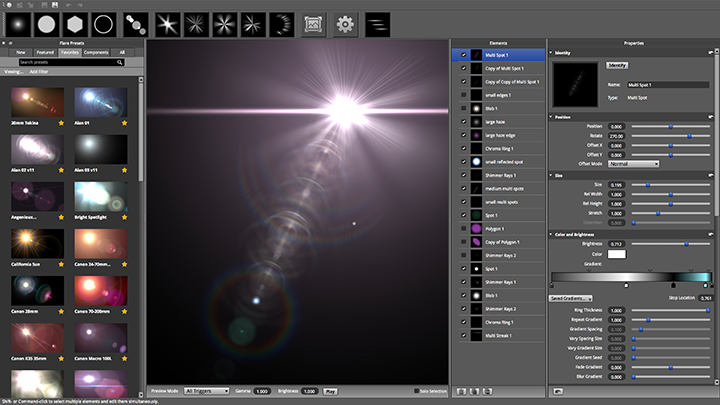 Sapphire 2019 builds upon its legacy as the go-to Lens Flare tool for top film and TV artists with a refreshed Flare Designer. 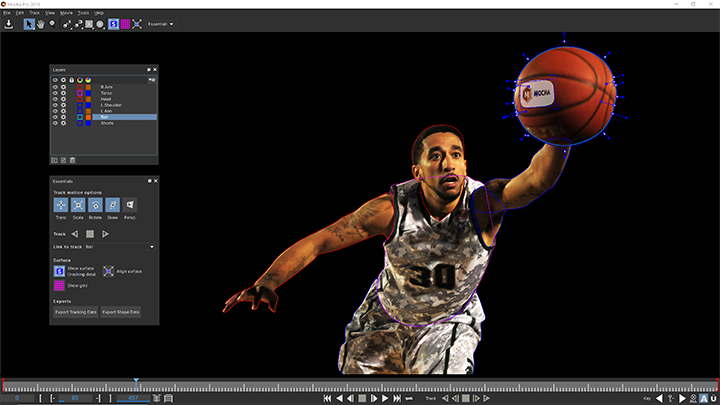 Plus new and original stylized effects and transitions you’ll soon be turning to. We hope you’re as excited as we are about the upcoming releases! See you in Amsterdam!